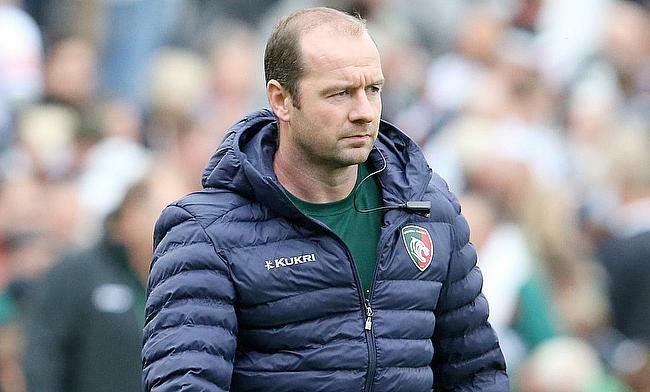 In light of Leicester Tigers’ immediate resolution, interim Head Coach Geordan Murphy spoke to Ali Stokes ahead of his second game in charge against Wasps this weekend. Leicester Tigers’ faith-restoring 49-33 victory over Newcastle Falcons at Welford Road last Saturday produced a renewed aura of hope upon the former English and European powerhouses. In a week that saw the firing of Director of Rugby Matt O’Connor after just one particularly lacklustre game into the season, a sobering attitude appeared to have consumed Leicester fans. Fortuitously for the Welford Road faithful, interim Head Coach and club stalwart Geordan Murphy led the charge to last weekend’s stirring victory that saw a nearly exclusively English international backline relocate its rhythm and contrive to restore star centre Manu Tuilagi back to something resembling top form and fitness. Reflecting on the victory in Round Two, Murphy was asked whether he relished witnessing his side claw back some pride. "Yeah, 100%. I thought in the first 35 minutes of our game against Newcastle that we showed a real intent in our attack. I think off the back of everything that happened the previous week, it was probably a natural reaction. "I suppose the onus on us now is to try and carry that first 35 minutes forward into the season. "We made a lot of mistakes, particularly at the top end of the second-half. Some of the guys that came off the bench weren't as accurate as they could have been and were a little bit rusty. "So there's plenty to work on in the way we finished the performance, and we've got a very big game this weekend. It's pressure on pressure." Murphy will oversee his second game in charge at the Ricoh Arena this Saturday, facing a Wasps side famed for its attacking brand of rugby. Even without current Gloucester fly-half Danny Cipriani and Springbok fullback Willie le Roux, who is currently on Rugby Championship duty, Dai Young’s side proved the potency of their attack in a close defeat to Premiership powerhouses Exeter Chiefs last Saturday. "One of the areas I think we focused on a little bit too much this week was our attack,” Murphy reflected. "As I said, we started the game pretty well and our defence was good in the first 30 minutes against Newcastle, but we made a couple of individual errors, not necessarily system errors but individual errors. We fell off a few tackles and that kills you at Premiership level. "Newcastle are a strong side and with players like Vereniki Goneva and Sinoti Sinoti, they're always going to cause you problems and they're potentially good enough to score some tries so we were disappointed to have conceded five." While Murphy is set to drill and re-drill his side over their defensive structures and individual responsibilities, it seems he is more inclined to permit the squad's younger players to step in where other Premiership coaches may rely on older, less threatening members of their teams. Two such players are the versatile England U20 duo Tom Hardwick (fly-half and inside centre) and Jordan Olowofela (wing/fullback). Hardwick, in particular, enjoyed an unexpected volume of game time, with former Bath and Wasps centre Kyle Eastmond forced from the field in the 31st minute of the Newcastle game with a calf complaint. Pronouncing his faith in the young pairing, Murphy said: "I was confident the lads did well. Jordan obviously only received seven or eight minutes, I think Telusa Veainu's sin-binning probably could have cost him a few more minutes on the field. "Tom Hardwick came on the field a little bit sooner than expected and performed pretty well. "I think his versatility has been brilliant. He played predominantly at ten for us last season, and in England U20s. Then at the U20 World Cup he played a little bit of 12 in and around Marcus Smith, who was playing ten for them. Spirit-lifting praise for Hardwick and he is once again on the bench with Gareth Owen stepping into the shoes of Kyle Eastmond who misses out on the side to play Wasps due to fitness. This will be tough news for Leicester fans considering the manner in which fly-half George Ford and Eastmond consolidated to unleash Tuilagi upon an ill-fated Newcastle defence. Murphy continued: "Yeah, it's great, I was really pleased for Manu, he's a great guy, he's a Leicester man and he cares about the place, he wants to perform well, and on the weekend, he did a really good job I thought." Further news of an agreeable nature comes in the revelation that when posed with the question of whether Tuilagi was close to a return to top form, Murphy revealed that after a frustrating four-five years blighted with pectoral, groin and knee issues, Tuilagi is on the brink. No surprise this made the try of the week. He added: "I think so, certainly he showed it with that try on the weekend. He broke two tacklers, Josh Matavesi and Tane Takulua, who are both big defenders and he did a good job of making them look like they weren’t there. Then he dropped the hammer, which was really impressive. "Hopefully Manu can keep getting better, and I don't see why he can't"
Expanding on his ability to once again select the Samoan-born wrecking ball of a centre, Murphy commented on the tweak in the fashion that Leicester plan to utilise Tuilagi. “We’re trying to be a little bit smarter in the way we use him, certainly that's not just coming from the last couple of weeks, that's something we've focused on during pre-season. "We want him being explosive into space, people forget that Manu has a huge amount of pace once he does get into a hole. I suppose they'll know about it after last weekend. So yeah, we probably can be a bit smarter in the way we use him." While all appears on the rise for Tigers’ first team following their rousing round two victory, the team’s A-league side failed to avoid consecutive narrow defeats during the opening weeks of the Premiership Rugby Shield competition. However, unlike the senior side, the onus on victory is greatly reduced, with Murphy and his coaching contingent drawing considerable heart from the manner of their performances, as opposed to the end result. Reflecting on the league's success so far, Murphy said: "I was actually involved in the coaching team in week one. It was good, there were some real positives to come out. “You know, I think we've used it, as you said, as an opportunity to give some younger guys some game time, and there were some really strong performances from young players. "Taylor Gough, a young 18-year-old was a standout in both games with his physicality. Thom Smith, again another 18-year-old backrower, was pretty good. I thought he was exceptional on Monday night. "It's a good opportunity for guys to go out, pull on a Tigers shirt and be seen by the coaches. I was pleased with the way some of the guys went on both Mondays." When asked whether the challenge of fielding a full 23-man squad on a Monday hampered his ability to reward the standout players with game time at the weekend, Murphy admitted that the balance was not ideal. "Yeah, that's the balance of it, he said. “That's the difficulty when you play on a Monday night and then you're going into a Saturday fixture. "Most of the guys, if they play on a Monday night, they won't train on a Tuesday. It'll just be a bit of recovery. Then if you're on standard time, generally we have a Wednesday off. They're very much behind. “But you know, it's an opportunity for them to play and for us to see them and for them to hold their hands up so when we do have opportunities we have more faces ready to get it done."